The self-proclamation of Juan Guaidó as interim president of Venezuela has divided the world between the countries that recognize the opposition leader and those that have expressed their support for Nicolás Maduro. 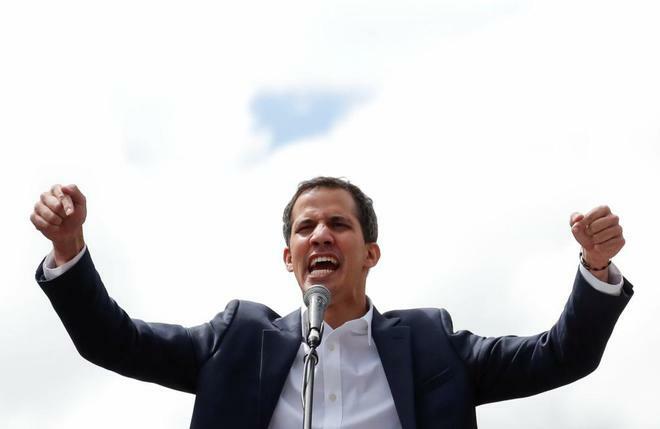 US President Donald Trump was the first president to recognize Guaidó as Venezuela's "legitimate" head of state, a few minutes after he proclaimed himself "president in charge" of the Latin American country. The secretary of the Organization of American States (OAS), Luis Almagro, as well as the governments of Brazil, Colombia, Peru, Ecuador, and Costa Rica, also indicated their support , as announced by their representatives in the Davos forum (Switzerland). . In addition, they have recognized Guaidó Paraguay, Chile, Canada, Guatemala and Argentina. On the contrary, other states such as Bolivia have shown their support for Chavez president Nicolás Maduro. In a message on Twitter, Bolivian President Evo Morales showed his "solidarity with the Venezuelan people and Brother Nicolás Maduro in these decisive hours." Our solidarity with the Venezuelan people and brother @NicolasMaduro, in these decisive hours in which the claws of imperialism seek again to mortally wound the democracy and self-determination of the peoples of # South America. We will never be backyard of #EEUU again. From Havana, Cuban President Miguel Diaz-Canel also supported Maduro "in the face of imperialist attempts to discredit and destabilize the Bolivarian Revolution." For his part, on Twitter the Cuban Foreign Minister, Bruno Rodriguez, also expressed his solidarity to the Chavez leader. Strong support and solidarity of #Cuba with the Constitutional President @NicolasMaduro before coup attempt. The sovereign will of the people of Venezuela will prevail in the face of imperialist intervention. History will judge those who encourage and recognize the coup plotter. Another of the traditional allies of Maduro, Russia, also showed his support for the Venezuelan leader. The spokeswoman for the Russian Foreign Ministry, María Zajárova, wrote on her Facebook page that "in the events that took place in Venezuela, it is clear how the progressive western community really relates to international law, sovereignty and non-interference in the internal affairs of the States, changing the power at hand ". Also, in a speech from the Miraflores palace, Maduro claimed to have received a call from Turkish President Recep Tayyip Erdogan, showing his support. For the moment, the European Union does not recognize the opposition leader as president, but neither does it censure what it has done and gives total legitimacy and total support to the Venezuelan Assembly. From our country, the Government expects a common European position, although from the Popular Party and Citizens ask to recognize Guaidó as interim president. For its part, the Mexican government was cautious. In a statement, he assures that "in accordance" with his "constitutional principles of non-intervention, self-determination of peoples, peaceful settlement of international disputes, legal equality of States, respect, protection and promotion of human rights" calls on that "the actors involved in the conflict reduce their tensions" and "reject any type of violence."